Here at the Piedmont Candy Company, we’ve been making Red Bird puffed mints and candies from our hometown in Lexington, NC since 1890. Using only 100% pure cane sugar, it’s more than a recipe – it’s a family tradition. 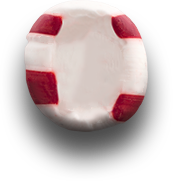 Our candies are naturally gluten-free, allergen-free, Kosher, and never contain corn syrup. Because our puffs are handcrafted, each one is unique, like a snowflake … only minty! 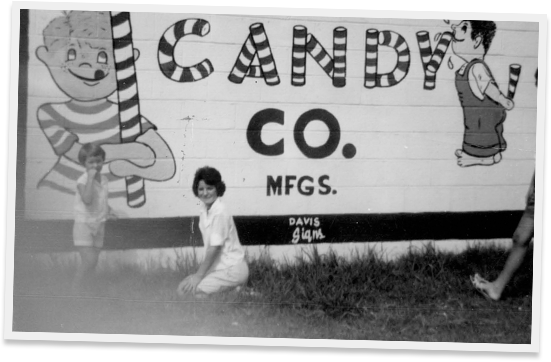 In 1890, we got our start as the NC Candy Company, right in Lexington NC. In the early 1900s, the company was renamed the Piedmont Candy Company. In 1919 Edward Ebelein, the son of German immigrants, moved to Lexington to work at the NC Candy Company. Edward was born in 1873 and became a candy apprentice at 15. 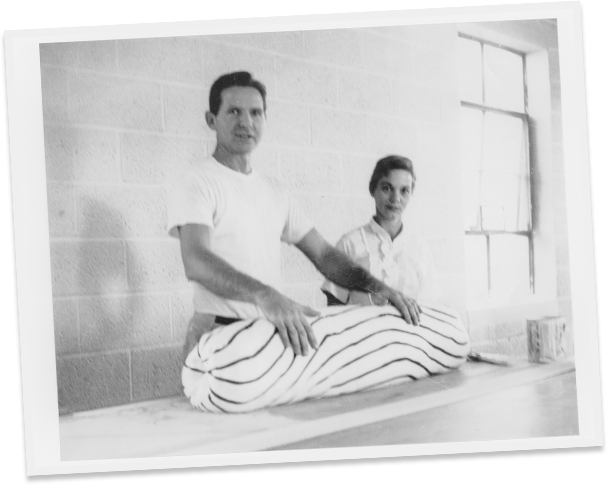 He later became the sole owner of the company and ran it as a family business. Red Bird candies were made using open copper kettles, like the ones shown here, to heat pure cane sugar to 300 degrees. On average, about 2,000 pounds of candy puffs and sticks were made each day! In 1987 the Ebeleins sold the company to another local North Carolina family, the Reids. Doug Reid had spent his career working in textiles but much of that industry was moving overseas. 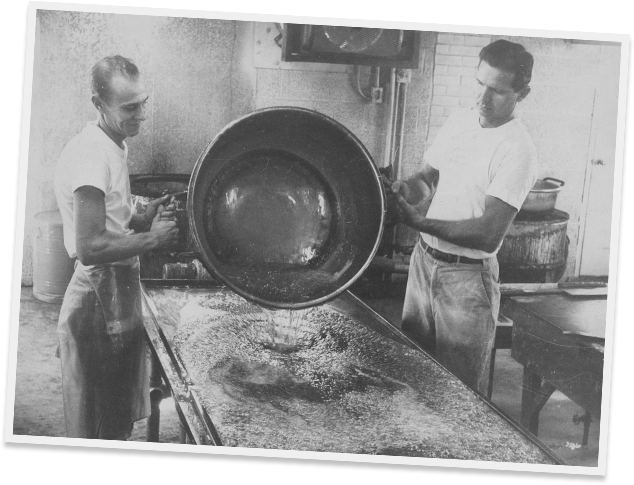 Even today, the Piedmont Candy Company is one of the few candy companies with production still in the USA. 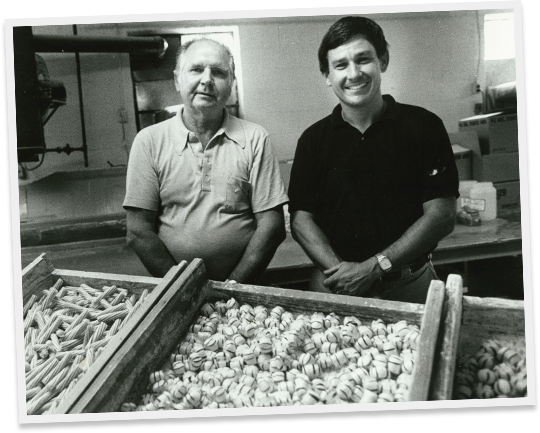 Piedmont Candy Company continued to grow and in 2000 expanded again to help meet demand. While modern production processes were added, the basic process stayed the same. 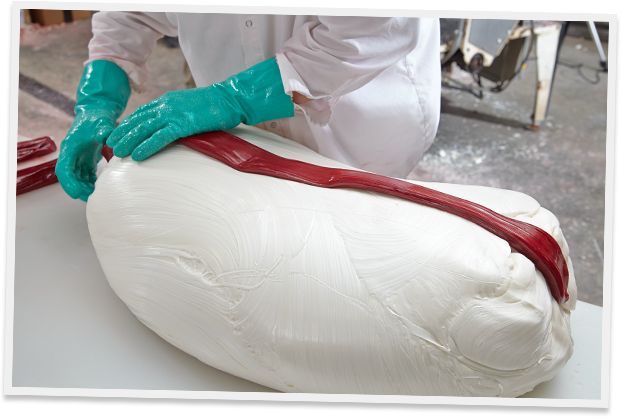 Our candy stripes are still molded and applied by hand, making each finished stick or puff a little unique. Red Bird peppermint puffs and sticks are still crafted with just a few simple ingredients like pure cane sugar and natural peppermint oil. And today, even more flavors including cotton candy, key lime and dark chocolate covered peppermint leave the plant to reach customers all over the country. Minis are here! - Mini Puffs are tiny and tasty, all natural puffed soft treats. Regular Puffs are our traditional soft puffed candies that come in a variety of flavors and are made from 100% cane sugar, never corn syrup. 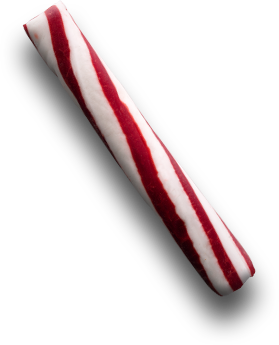 Old fashioned 4 inch candy sticks made from 100% pure cane sugar. © 2019 Piedmont Candy Company.